Piezo elements are a great, simple method for detecting a knock or a finger press. 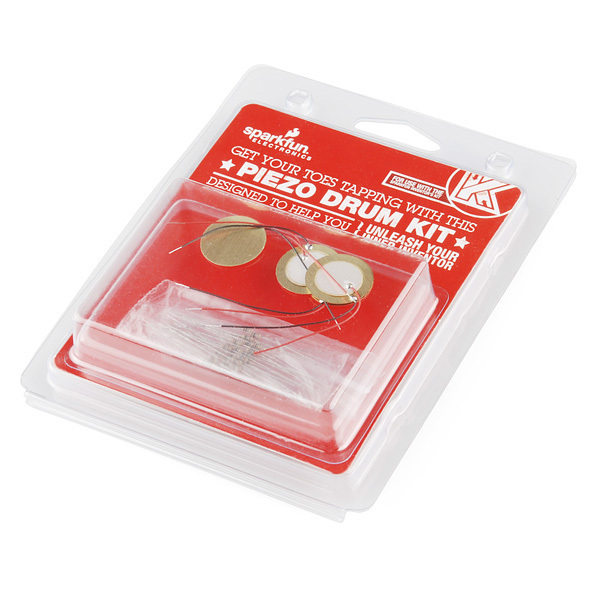 This kit comes with 4 of them, allowing you to turn just about any surface into a 4-piece drum kit. How's that, you ask? 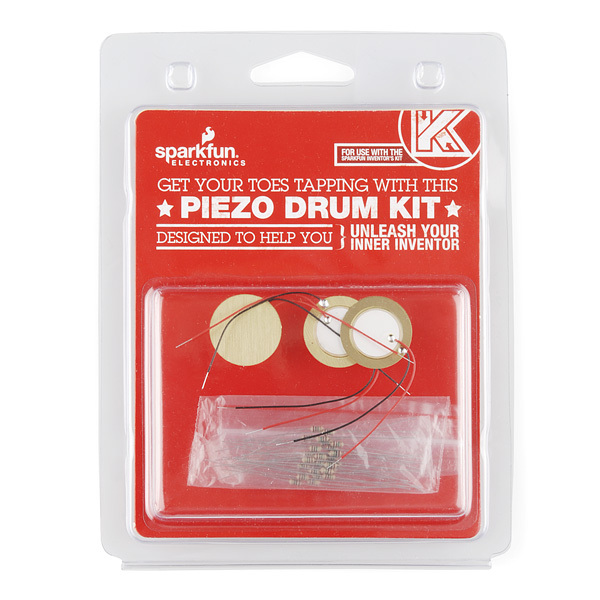 When a Piezo element is struck, it generates a small voltage, if you feed that voltage into the analog-to-digital converter of your favorite microcontroller then you can use those pad strikes to set off all kinds of events from sounds to MIDI messages to lights... just about anything you can think of. 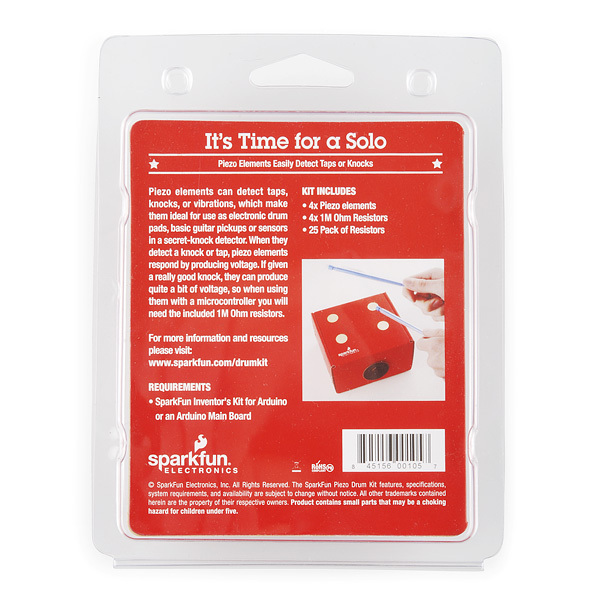 The kit also includes a bag of 1MegOhm resistors. These resistors are the recommended value to use as a pull-down resistor in parallel with the elements. For a more in-depth explanation of how all of this works, check out the Quickstart guide below! Can these be used as actuators? If so, how shall I make them buzz? The Quickstart Guide link is 404.